Corris Railway Ruston & Hornsby 0-4-0 No.6 propels its train into Corris station on 3 June 2012. Holy Trinity church can be seen in the background, the railway following the eastern edge of the graveyard as it enters the station from the Maespoeth direction. 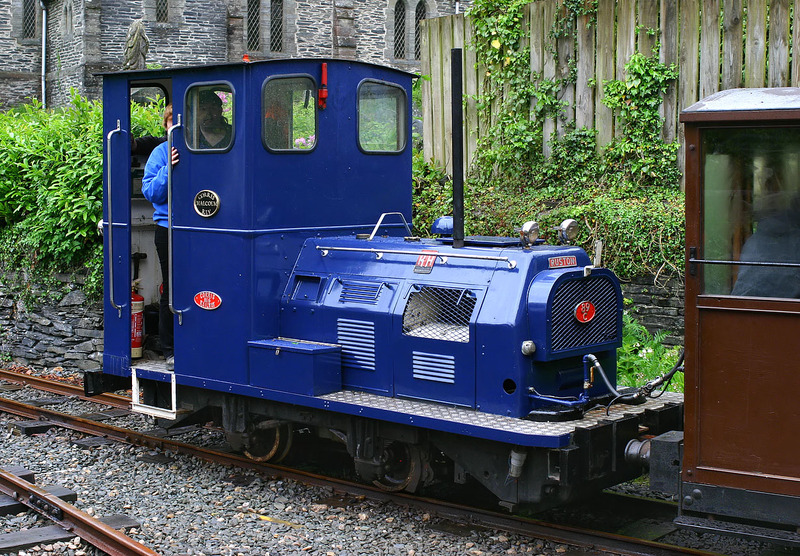 This 1966 built locomotive was originally 2' 6" gauge, and was regauged on arrival at Corris to 2' 3".